This is to report back from a workshop in Kiel on theories and methods to assess sustainability in complex social-ecological systems. It was organized by Dr. Animesh Gain and his colleagues at the Future Ocean excellence cluster who did a great job in facilitating inspiring discussions. We spend a full day for presentations and discussions of alternative theoretical approaches and more concrete methods to understand better the dynamics in social-ecological systems. Among them were resilience thinking with different operationalizations, socio-hydrology, household survey based ecosystem service analyses, participatory scenario development, network analyses and simulation models. We found each others approach very insightful, however, it is quite challenging to perform a systematic comparison on them. I, Romina, presented my recent work on modeling lake restoration with explicit time lags from decision making interfering with lake dynamics and therewith determining long-term outcome. This contribution among others will be prepared for a special issue in Regional Environmental Change “Assessment of the sustainability of complex social-ecological systems at different scales: methods, tools and approaches” which is open to submissions until the end of this year. A place in Kiel, Germany, close to the water. Made not only for Swedish people. 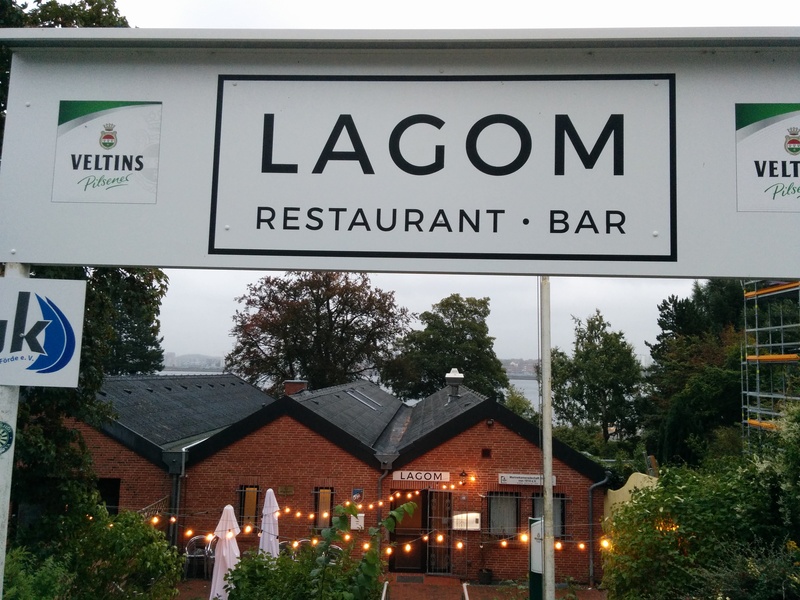 Ultimately, we rediscovered (more accidentally by walking along Kiel’s water front) that the aims from sustainability science can be well captured by a single Swedish word: Lagom – it means not too much and not too little, and by this definition fits well to the safe and just operating space (aka doughnut economy by Kate Raworth). Maybe, we only have to learn that there is no real or metaphorical space to move to in order to develop sustainable lifestyles but that it is rather a property which each one of us can more or less exercise. Even if this might not be the typical, expected insight from a complexity science workshop, it might show well the need for compelling visions for steering humanity in the Anthropocene regardless of a full understanding of its underlying mechanisms. P.S My travel to Kiel caused 160 kg CO2 emission by traveling with train/bus according to the travel tracker from the Tyndall Centre. This saved 400 kg CO2 emissions compared to a travel by plane but required about 6 hours extra of travel time per tour.